I’m travelling at the moment without my computer so apologies for the lack of posts. When I’m back I’ll post some pics of all the lovely things I’ve seen on this trip..
Today is Father’s Day, (well here and in a lot of places but not in Australia and New Zealand until September apparently!) In our ever fragmenting society the role of the father is one that is often overshadowed by the fact that there are many situations now where children do not have the blessing of growing up with a father. Is the role of the father different? I believe so. While the mother nurtures, cuddles and coddles, nourishes and protects, the father supports, challenges, encourages drive and ambition, teaches how to deal with new experiences and the tools needed for success in the world. A little girl I know complained that she didn’t like visits with her father. She was about six years old then and she was very worried as he was not inclined to hold her hand at times that felt unsafe to her, like on narrow paths or near the shoreline or on a riverbank. I explained to her that Dads are more inclined to let us explore and learn from experience but that as she was unused to being with him (and I suspected that he as a man also brought up without a father was not a very “well-trained” father) she should tell him when she felt unsure and tell him that she needed him to hold her hand at these times. A wise little soul, she took on the advice and now, years later, has a great relationship with her father. Together they have learned how to create a father-daughter relationship from the ashes of divorce and a second generation fatherless household. She had to learn to experience a different relationship with him and she had to help him find the part of him that could parent and protect. In doing so both are learning new things about love, about each other and also about the different ways in which men and women experience the world. 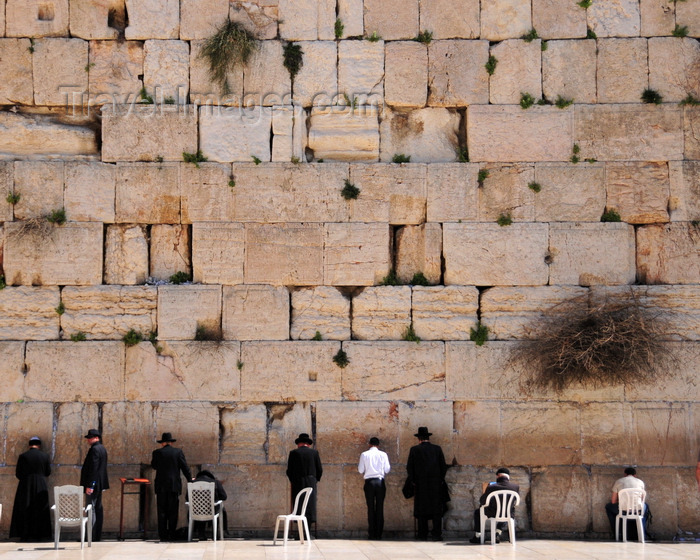 This story is about a young Jewish man, Joey Riklis, from Cleveland, Ohio, who goes to visit the Wailing Wall in Jerusalem after his father had died. His father had been a survivor of the holocaust and was an ardent practitioner of his Jewish faith. Joey had rebelled against his father’s faith and the two of them had been alienated for some time. He was feeling guilt and remorse over his father’s death and blamed himself for it. Joey had traveled to India and done his share of guru hopping in hopes of finding an alternative to his Hebrew religious heritage. But nothing truly satisfied or filled his spiritual longing. So he went to Israel to explore the heritage that he had formerly spurned. While there he noticed people scribbling notes on small pieces of paper and inserting them into the crevices of the Wailing Wall. He asked a young man there what this was about and was told that they were petitionary prayers. People believed the stones were so holy that any requests placed inside of them would be especially blessed. Joey searched for an empty crevice in the Wall to place his petition. There were notes crammed and overflowing all over the place. After an hour of trying to find an empty space he finally found a spot and inserted his small note into the crack. As he did so he “accidentally dislodged another that had been resting there, and it fell to the ground.” He bent down and picked it up and was going to put it back when he was overcome by a powerful impulse to open the note and read it, which he did. Here is what he read: My Dear Son Joey, If you should ever happen to come to Israel and somehow miraculously find this note, this is what I want you to know: I always loved you even when you hurt me, and I will never stop loving you. You are, and always will be, my beloved son. And Joey, please know that I forgive you for everything, and only hope that you in turn will forgive a foolish old man.” Signed, Adam Riklis, Cleveland, Ohio.